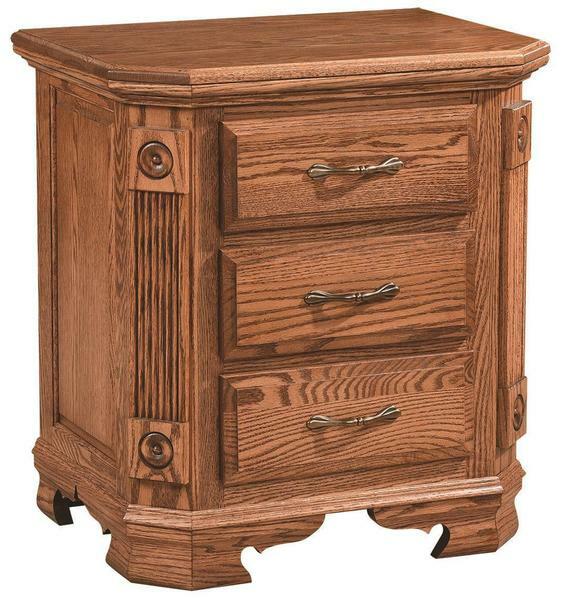 Enhance any bedroom with our Amish Southern Deluxe Three Drawer Nightstand. This handmade Amish nightstand will serve as a great complement for any bed. Get the Souther Deluxe Nightstand handcrafted in the solid wood and finish of your choice. Call one of our Amish Furniture Specialists today if you have any questions at our toll free number - 866-272-6773. Shown in Oak Wood with OCS-102 fruitwood stain.